Accounts receivable is no easy task - trying to collect the money is something every A/R manager deals with daily. 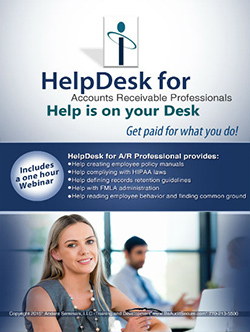 While it is impossible to get every single penny earned for your company, proactive practices that are outlined in this HelpDesk will help you decrease the opportunity a debtor may have to escape. Learn how to establish a credit/collections policy and procedure that works! 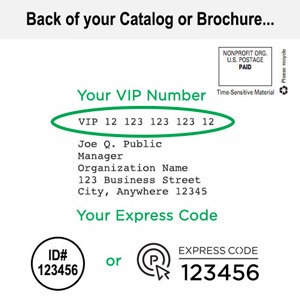 This valuable software program is filled with federal collection laws and laws by state. The 55-minute webinar covers the full dynamic of establishing your collections 'team' and writing policies to resolving conflict during the collections process. The program includes six informative "Spoonful's of Help," offering guidance through many of the more difficult collections processes.